Create your perfect education or health app solution. Cogniss provides sophisticated app design and development, all in one integrated platform. » A machine-learning algorithm that dynamically monitors user behavior, recommends activities and perfectly levels the delivery of new information. » Deliver in-game learning that maximizes long-term memory retention. » Induce a state of flow, making learning intrinsically motivating. » Set rules for behavioral incentives and activity triggers. 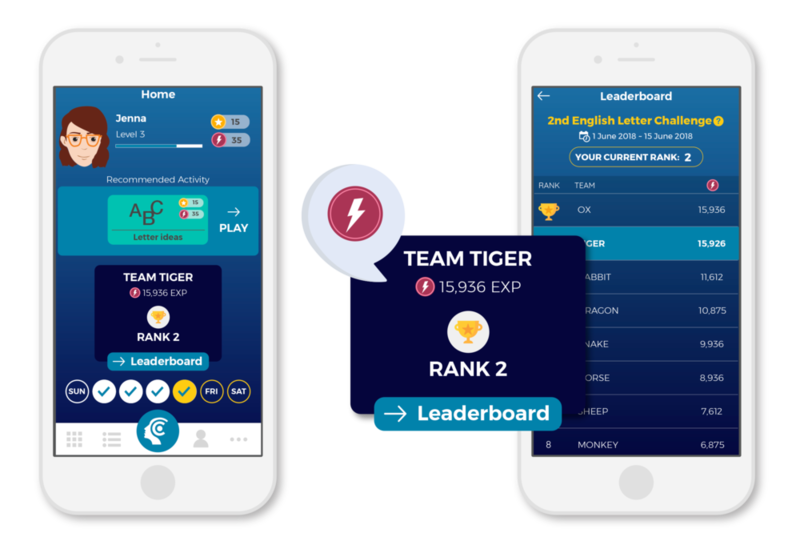 » Easily manage challenges and competitions. number and type of parameters. » Incorporate gamification into your content, unlocking pathways towards understanding and behavior change. 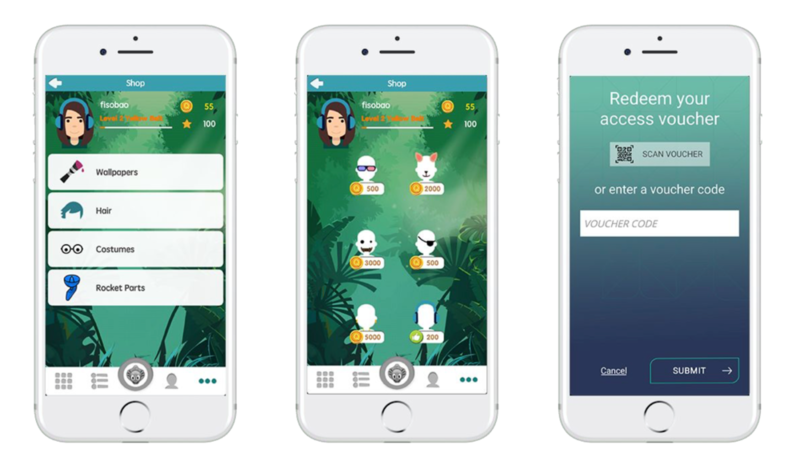 » A configurable system of quests and rewards that breaks complex tasks into smaller, doable chunks. » Motivate positive real-world actions by giving users a sense of progress towards achievable goals. Incentivize repeat app usage. » Create engaging environments that challenge players to think critically and respond creatively to diverse situations. » Cogniss games are made with Unity, the world’s top ranked game platform. Choose from our existing library of games or have us create something unique. » Full support for 2D, 3D, Augmented Reality and Virtual Reality games. » An entire repertoire of coins, experience points, virtual goods, badging and vouchers. » Users can unlock content, buy coins and sign up for paid subscriptions. » Full Apple Appstore and Google Play integration. » One login and identity, complete with micro-credentials (ePortfolios). » Personalized avatars, badges, achievements, friends and teams follow players across all Cogniss-powered products. » Easy user profile management. » Full integration with social networks. » Tap into communities for collaborative learning. » Users can add friends, join teams, issue challenges, share achievements, and communicate with their broader network, driving sign-ups. » Opt-in automatic cross-sell network. » Promote your app in the Cogniss app ecosystem to the right people at the right time. » Expand your potential user base. » Simple, visual dashboards and actionable data so that users, educators, institutions or product owners can track when and how learning is occurring. » Secure access to learner profiles via unique Insights codes. » Drill down into granular details (such as topics completed, answers attempted, time taken, test results, and more), or aggregate data by individual, group, region or any other cohort. » Cogniss integrates an approach to privacy that puts individuals in complete control of who can access their data, and how it can be used. » Ideal for clinical or educational settings, Cogniss allows designated personnel to provide feedback, record notes, flag behaviors, follow-up or assign tasks to individuals and groups. » Allows certain users to only connect with others known to them in the real world and restricts communications.